Tourists could be saved from over-zealous touts at Egypt’s most popular archaeological sites after the country’s government approved a new fine of to 10,000 Egyptian pounds (£467) for those caught overstepping the line. The new rule, part of the broader Antiquities Protection Law, will target those in and around tourist sites or museums such as the pyramids of Giza, selling goods or offering services in an aggressive manner. “There is no deterrent so far for those who carry out such acts that badly affects tourism,” said minister of archeology Khaled al-Anani. Oscar Saleh, who offers camel rides at Giza, told the Guardian the fines were addressing a problem that wasn’t there. “Go visit the Egyptian Museum, go visit the pyramids – no one will bother you,” he said. However, the government thinks differently, with some MPs proposing heftier fines of up to 20,000 Egyptian pounds (€934). The British Foreign Office warns visitors to “high-profile sites” that they may be “confronted aggressively for money or business, even while travelling by car or taxi. Visitors using a pre-booked guide, or taking an organised tour to visit the Giza Pyramids are likely to face fewer difficulties”. 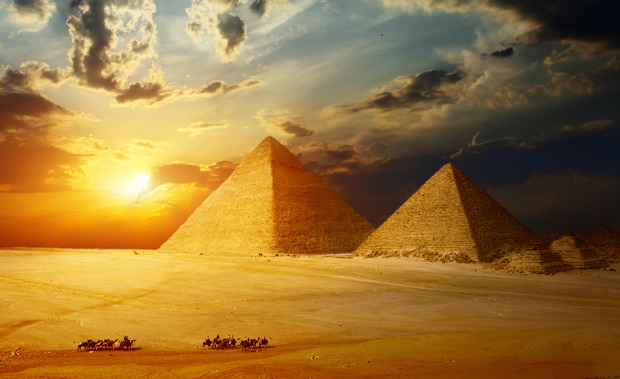 In 2008, the Giza pyramids were given a €16 million makeover that included a new security fence to prevent hawkers from selling camel rides and trinkets. Before then, traders were given free rein of the area outside the Wonder of the World, prompting Egypt’s then-chief archaeologist Zahi Hawass to describe the area as a “zoo”. Many see such tourist-bothering as part and parcel of visiting key visitor sites in the north African country, but the government is keen to clamp down on such negative experiences as it struggles to sustain the country’s fragile tourism industry. With Sharm el-Sheikh still practically off-limits to British tourists following the crash of Metrojet Flight 9268 in 2015, the country’s tourist board has been promoting Hurghada and Marsa Alam. Egypt has experienced a small revival with the number of global visitors rising from 5.4 million in 2016 to 7.5 million last year. This week Thomas Cook, too, said its customers were returning to the country, despite Sharm el-Sheikh remaining out of bounds. Bookings to Egypt are up 89pc year on year, the tour operator said. ‘Unlimited, disrespectful and excessive’ – is the party over for tourism in Ibiza? Pól Ó Conghaile: Tourists are returning to Turkey, so what about a summer holiday?